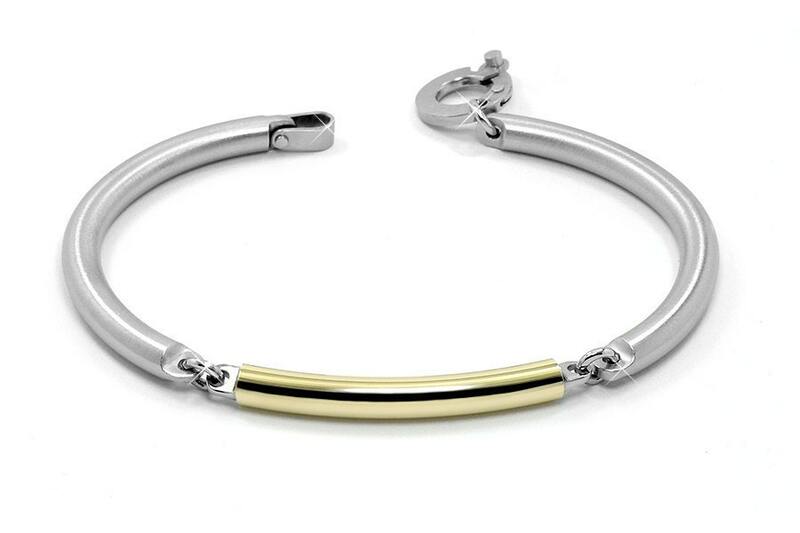 Mens brushed and high polished Stainless Steel and 14kt Gold tube bangle cuff Bracelet. 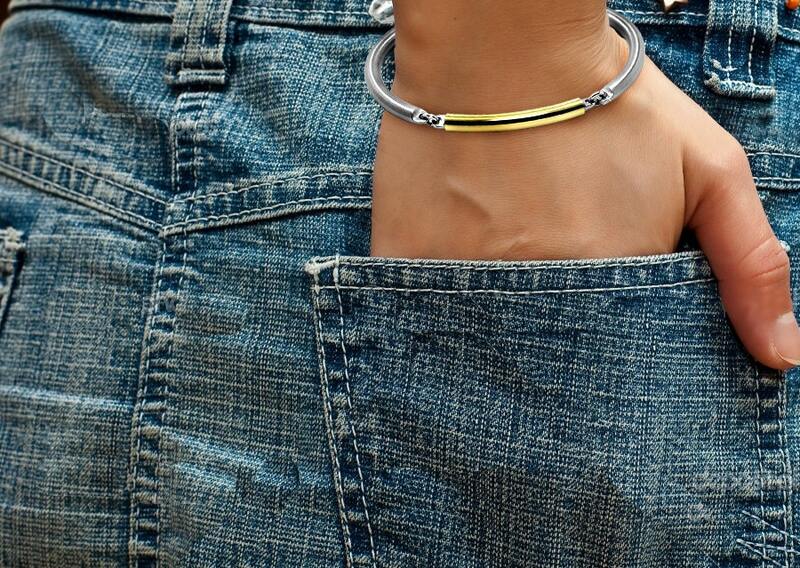 Totally hand made with a Unique innovative technique: This Bracelet Design doesn't contain any soldering material, the parts are locked together just by tension and compression of the metal itself. Bracelet's length available from: 6.5" to 11"
Free USA Shipping - Ships in 7 to 10 business days.